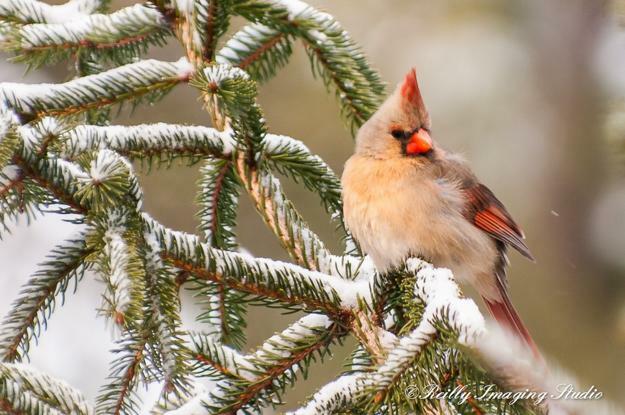 Winter backyard landscaping is about designing peaceful and beautiful outdoor spaces that celebrate natural beauty and provide a habitat to protect small animals and birds from hunger and cold. 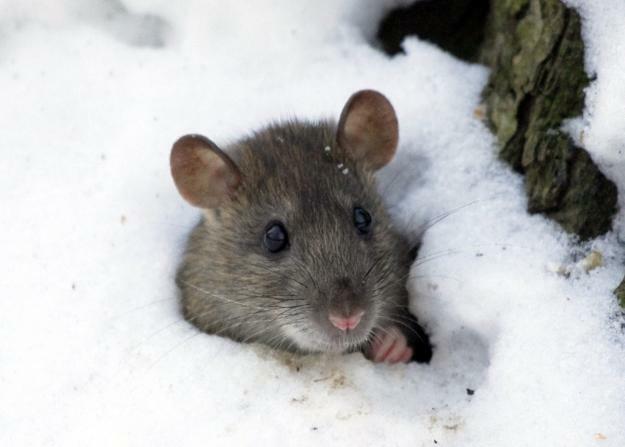 Here are a few simple winter yard landscaping ideas which can turn your yard into a place of wildlife conservation and help animals and birds survive the winter. Eco-friendly yard landscaping designs small ecosystems where people, plants and animals live in harmony the year around. 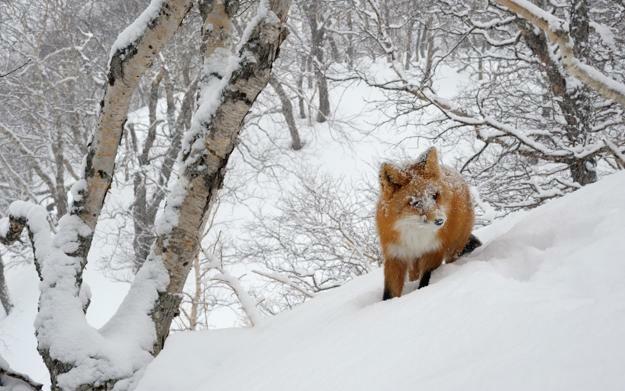 Birds and animals depend upon one another for survival, and they all struggle to find food, water, and shelter in cold winter months. 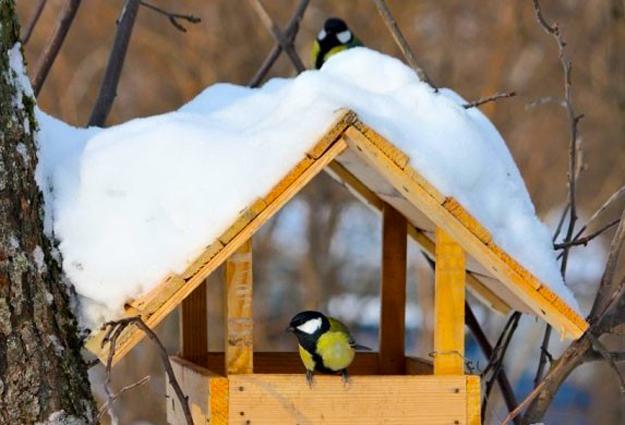 We can make a difference by creating eco-friendly winter yards offering shelters, food, and water and protecting the local fauna in winter and early spring. Small animals and birds eat seeds and make nests from grasses — critters store nuts and seeds from plants. 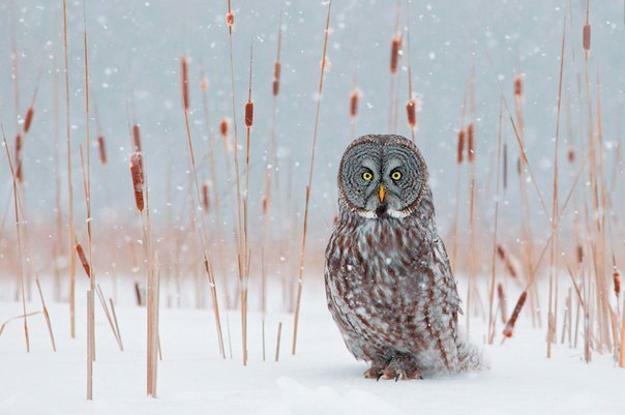 Leaving the dried heads of flowers makes it easier for birds to find food in winter. 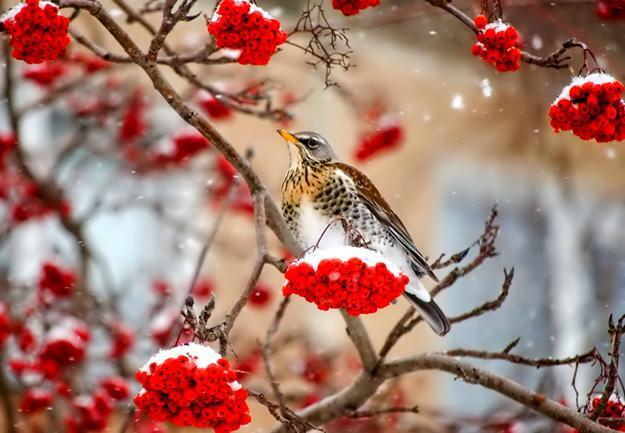 Choose plants that produce seeds to feed the animals and birds in winter. 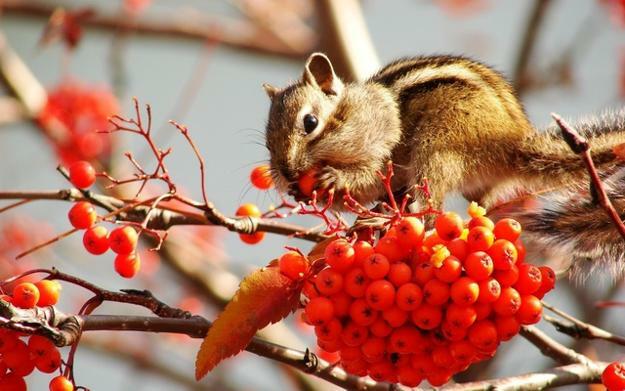 Plant trees and shrubs that provide food to small animals and birds. 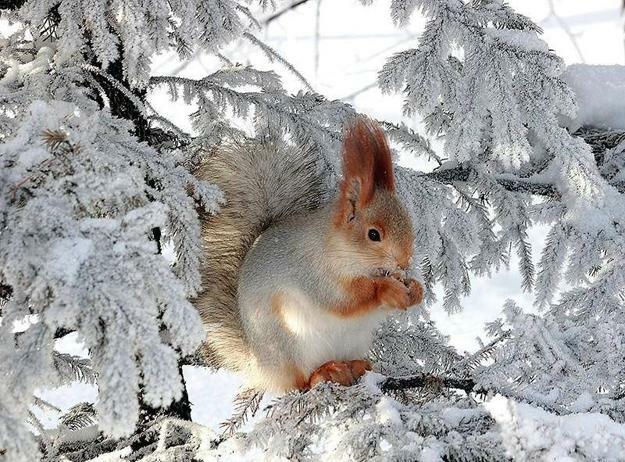 Pine cones and nuts are an excellent food source. 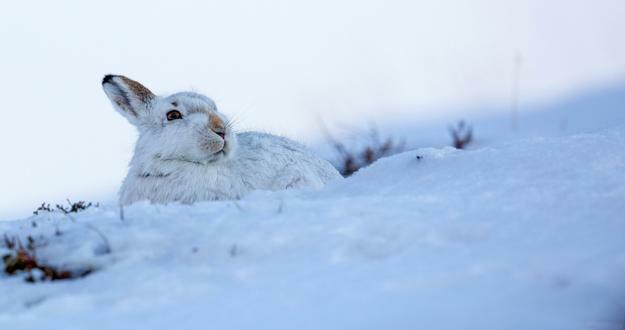 Animals need fresh water even when there is plenty of snow and ice in your yard. Think about how you can build and maintain a small warm pond or a birdbath and provide fresh water to birds and small animals. A pot of hot water on the icy surface is the perfect solution. 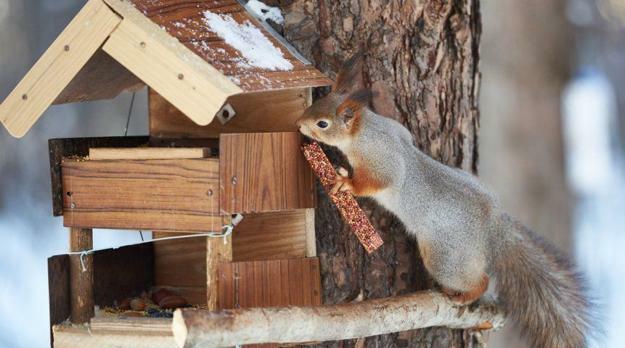 Tree branches make an appealing refuge for small animals and birds. A pile of large branches and cuttings placed in layers make a nice, warm shelter from wind and cold. Criss-cross piles of split wood chunks can protect many small animals in winter also. 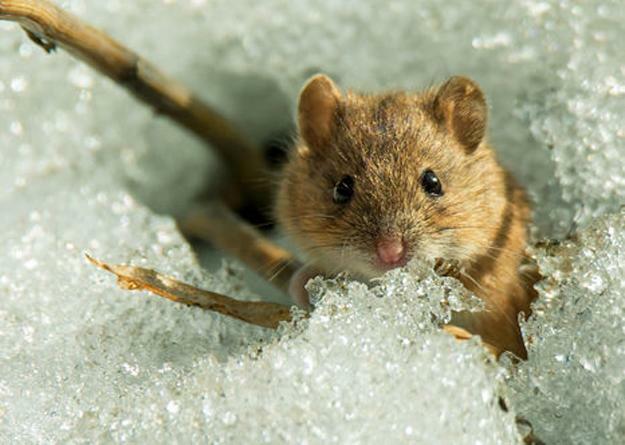 If you see mice sneaking into the house think of making small shelters for them outside and keep them happy and warm without sharing your living spaces. Also, you can make DIY a coop with salvaged wood pieces. Resting on posts, hanging from trees or mounted to the fence birdhouses and feeders provide shelters and food to birds while adding an eco-friendly vibe to your yard landscaping. 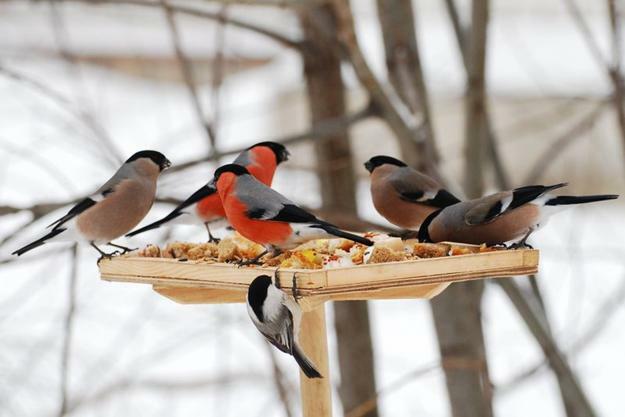 Fill your bird feeders regularly during winter months. Choose designs that keep enclosures and food dry. 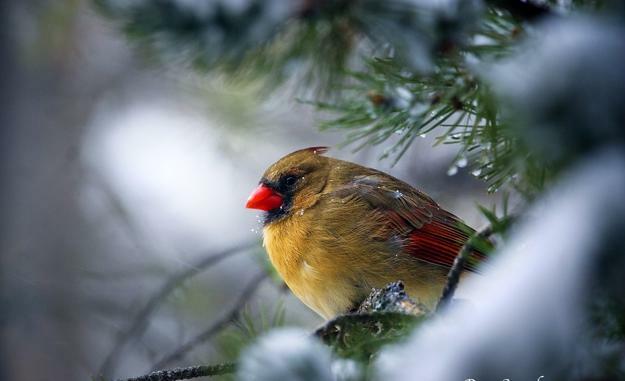 Attracting backyard birds in winter is a beautiful way to enjoy eco-friendly yard landscaping the entire year. 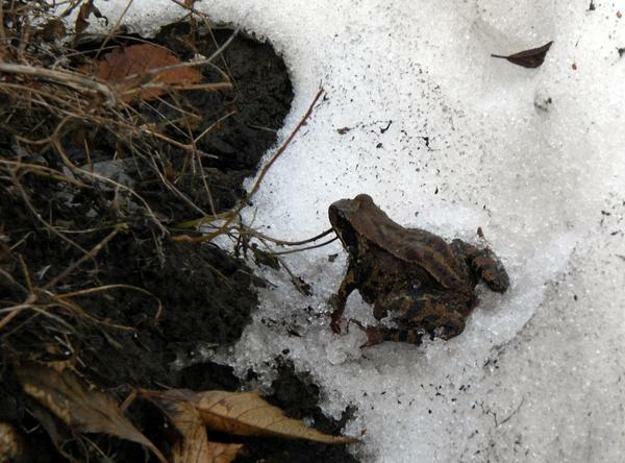 Fall leaves are fabulous material for building natural shelters for small animals, frogs or ground birds. Resist the urge to get rid of fall leaves on the ground, move them to your flower beds creating a welcoming environment for small creatures that like a moist environment of wet leaves. 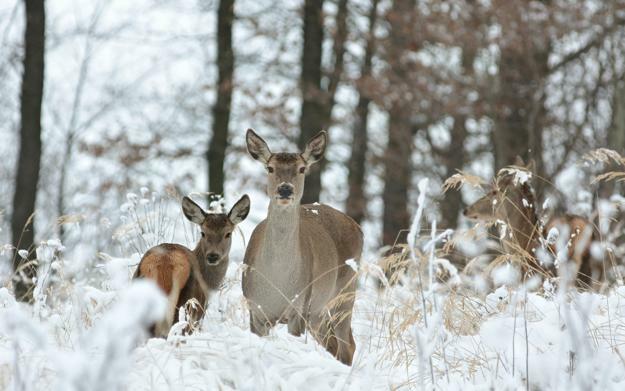 Winter yard landscaping offers natural ways to harmonize the environment for small animals and birds and enjoy the natural beauty of fall leaves, tree branches, berries, and logs. Remember about the animals and birds when you clean your fall yard. By keeping debris and taking a few simple steps towards eco-friendly yard landscaping, you can improve the winter habitat and design appealing Green spaces around your home.